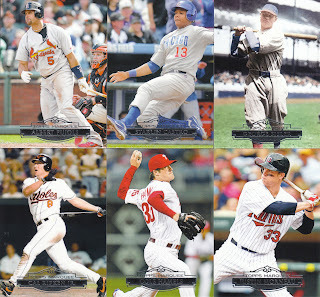 Here's what I need from the base set for 2011 Topps Chrome: COMPLETED!!!!! First of all, we have Justin from the aptly named blog Justin's World. We had worked out a trade a while back, and he was in the Artifacts group break... anyways, he got his cards over to me recently after a bout with the flu (hope you're feeling better buddy)... The highlights were a couple TTM style autos and a Roy Oswalt jersey relic from 2008 A&G. 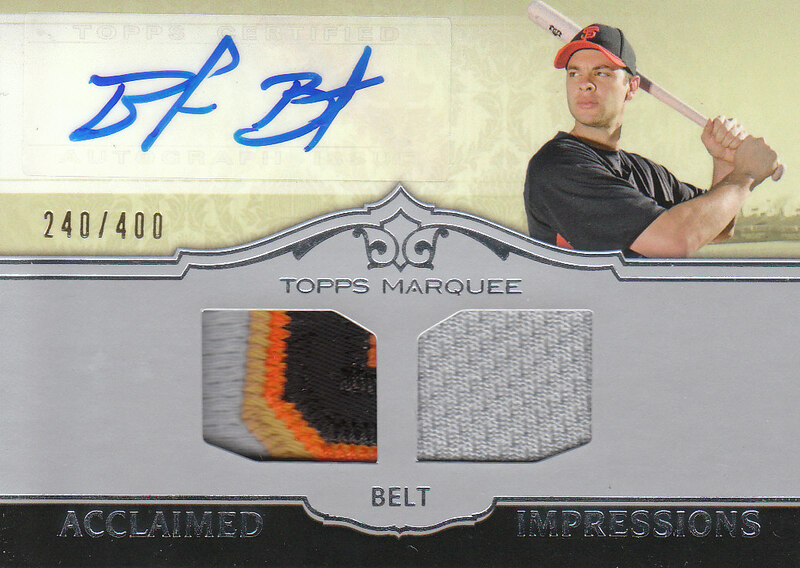 A nice thick windowed auto of another failed Astros prospect! Failed prospect for a failed idea-for-a-hit, done! Thanks Robert! Wow, a T206... 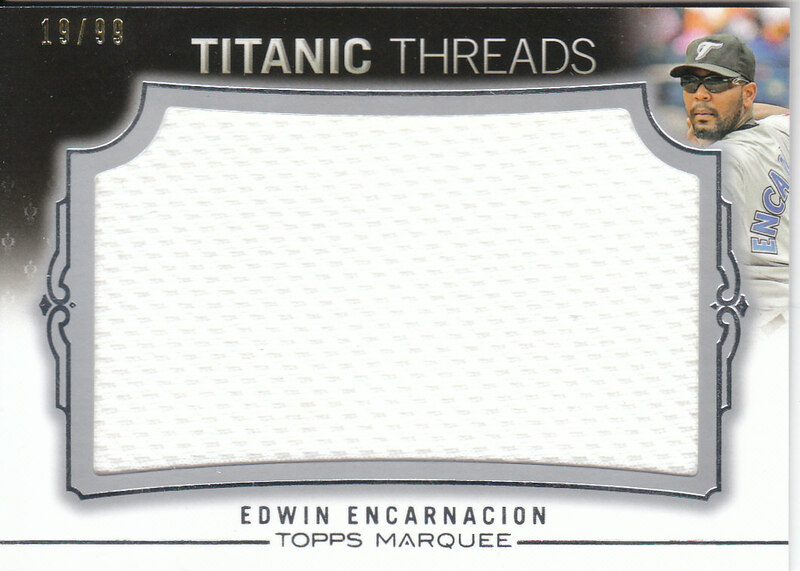 I'm geeked... no, I'd never heard of the guy, but it's a T206!! Like from 1911!!!! It's 100 years old... SWEET!!!! 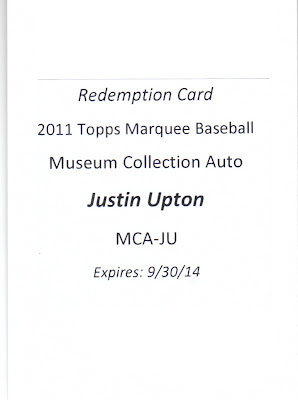 I know some of you Cubs collectors will want this card, but sorry, it's going into the permanent collection. Dennis, you are a gentleman and a scholar! 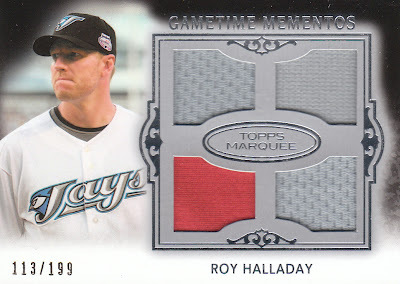 Hope you enjoy the Halladay! 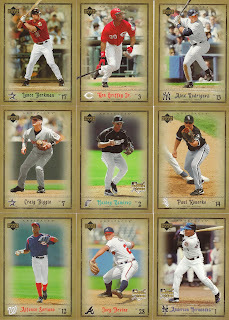 Well, the scanner is being a bit of a jerk today, cutting off the bottom edges... but you get the gist... great cards! 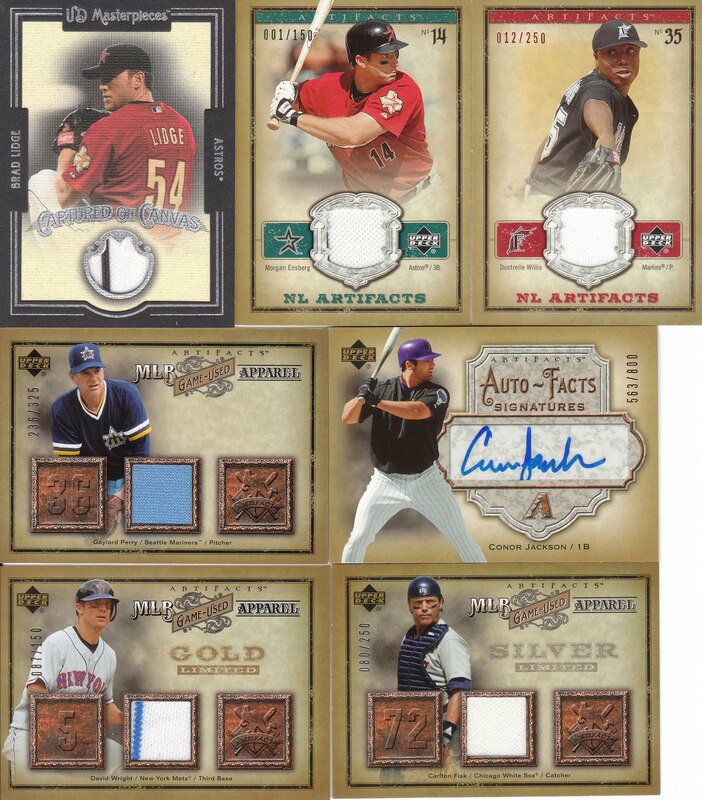 A new Clemens for the binder and an awesome Bagwell. Pence RC, thank you more please and a Chad Qualls auto, alway good to add an auto from the mid 2000's from a solid bullpen member... You may be wondering at this point why I haven't wrapped up this post and allowed you to move on with your day... well, because after these cards came out of the magic bubble mailer, another smaller package fell out. Wrapped like a Christmas present and labeled to "OPEN LAST SAM" I figured I should wait and open it last... so I did... and got great surprise!!!! Wait a second... if you look at my "keepers spreadsheet" you'd see I already had this card! (Greg noted as much on the note he included), but in an incredibly sneaky move, Greg included another card, RIGHT BEHIND THE FIRST ONE!!!! Hope everyone had a great weekend, outside of the 15 hours spent driving back and forth, it was a great weekend and a chance to catch up with old friends, see some family and pay tribute to a great friend. I REALLY like these base cards... thick stock, great photos, no cheesy border, a dignified nameplate... A+++ Topps, that's how you make a baseball card. 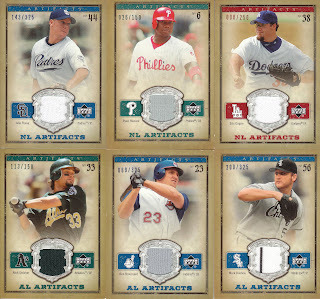 Unfortunately, I avoided group breaks on this product because of a striking lack of Astros in the checklist (serious, no vintage Astros thrown in the mix? BOO!! F- Topps, that's how you exclude fans). Again, SWEEET photos, the classic Ichiro follow through, Eithier in home run trot mode, Johnny Bench with the play at the plate and then Honus... well, they didn't have a bunch of photos to choose from, did they? Anyways, nice low numbered parallels and I like the gold and blue foil as well. A+. 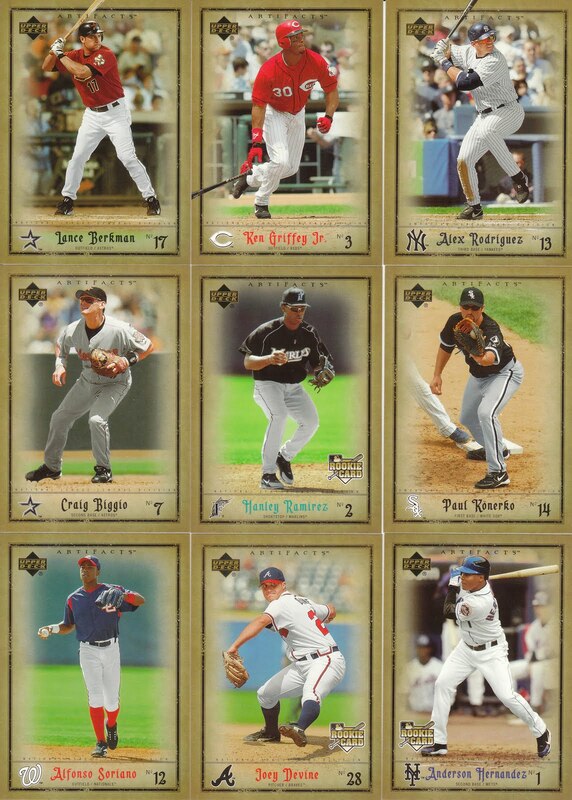 W.... T.... F.... Hey Topps, I thought these were "Marquee" players?!?!?! Not journeymen who have bounced from team to team! Heck if that's the standard, where is my Geoff Blum Astros Titanic Threads???? F------------------------- Super suckfest! And finally, the case hit! Museum Collection! To be honest, I had to come home and google this.... I had no idea what these were or that they were case hits. 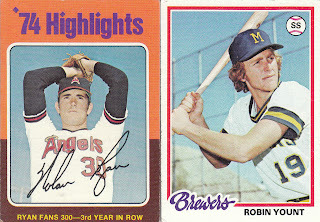 Numbered out of /10, these are on-card autos that apparently are rather blingy. And plenty of time on the redemption. Would have really liked to get, you know, the actual card, but I'll take a nice insert like this any day! 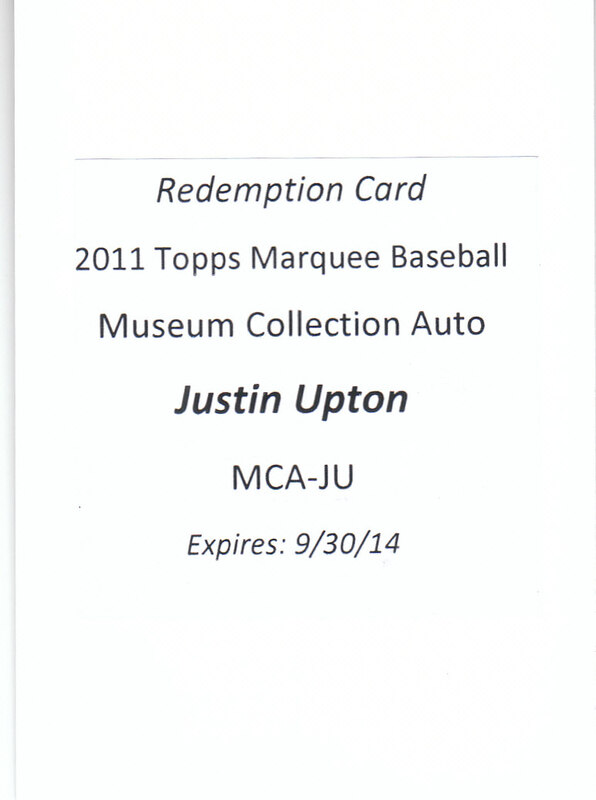 B+ since it's a redemption and I had no idea what "museum collection" meant. Alright, literally EVERYTHING here is for trade. 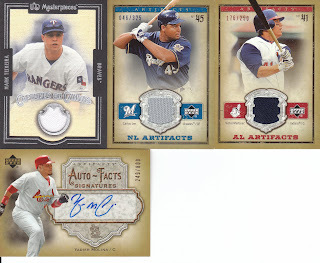 If you want to trade for the hits, make it quick, as all 4 are on eBay pending sale. If we work out a trade before it sells or if you want to make a monetary offer to save me eBay fees (and I'll not charge you shipping either), I'll pull it down... no harm, no foul. Overall, this product gets a B+ since I know that part of my joy is influenced by my incredible luck on the Upton and Belt. Hey everyone... for those involved in the group break, your cards will go out in the mail tomorrow. Sorry for the delay, I hope you all understand. A Tribute Post To My Best Friend - Alex Briceno - R.I.P. This is the hardest post I'll ever have to type. Three years ago, I started at my current company and met a guy named Alex. He stood 6'4" or so, broad shoulders and was rather intimidating in stature. Little did I know it was just a big kid wrapped up in a big body. Alex and I became friends rather quickly. We goofed off together at work, hung out at the bar after work, and talked about a lot of things... women, life, cars, family, religion, politics... if there was a party to be had, he was usually there and invited me and eventually Robin along. He had "DorkFest" at his apartment, which involved lots of video games and lots of beer. He talked of wanting to go play night golf (sneaking onto Hermann Park's course with glow-in-the-dark balls) and we never actually made it out there. He attempted to take Robin and I sailing, which failed completely when I pinched a nerve in my back 5 minutes into it. He never let me live it down either, calling me "gimp" pretty much from then on. The pictures in this post are from a pub crawl that he did, on a whim, with me and Robin. He was always down for anything, at a moments notice. All you had to do was call, and Alex was on his way. About two years ago, he left the company after his dad passed away and left him with the means to do whatever he wanted. So he packed up and spent three months doing wilderness survival training in Wyoming, e-mailing or texting when he had a chance, sending pictures of him having a BLAST in 4 feet of snow in a tent. When he got back, many pounds lighter and very hairy, we picked up right where we left off... until he went down to Key West for a few months to do SCUBA and Free Diving certification... then off to Columbia to help with charitable causes and research. Then to France for a family reunion. Our pack of friends just started referring to him as a nomad, a wonder-er, a gypsy who came and went as he pleased. I found out he was in town once when a friend saw him "gondolier-ing" through a local Target parking lot on a long board pushing himself with a long stick. He was larger than life some times... always the center of attention (he loved doing cartwheels when egged on, even at company parties). He was a groomsman in our wedding just 14 months ago. He was a hit at the reception, doing the worm, being his usual spastic self, dancing and being the overall awesome guy that he is. For those that didn't watch the video... you may be wondering... wait, that's 17 hits?!?!?! WHAT!? 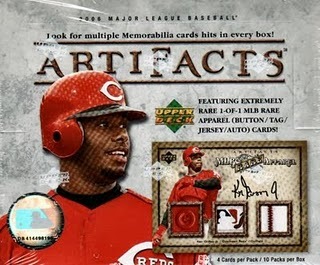 Yep, we got an extra hit in one of these boxes so that's another little bonus for us! 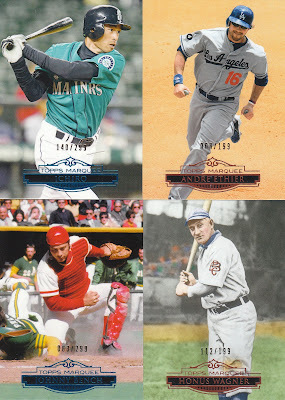 Another Felix Hernandez and Westbrook, but again different rarities... a couple more White Sox... and a nice Zimmerman swatch. 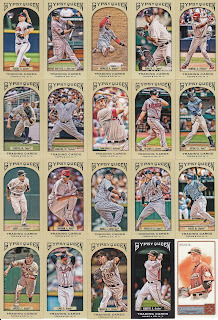 Spankee is the big winner out of these boxes I'd say with the Nats. Congrats everyone... last boxes to be posted tomorrow! Have a great Friday everyone! Here is the video everyone... I busted all the remaining boxes last night, as I just don't have the time the next couple nights to do them live or after I get home. I kept up the mirage of them being broken each day by "acting" as those these videos were being busted the day they were scheduled... and believe me by the last video that'll post on Saturday, delirium has set in and I was REALLY tired of busting packs... base cards, you can forget about seeing them in frame by those last 4 boxes, but you'll still get primo view of the hits. So, while I know the complete contents and all, I will only update the spreadsheet after each video is posted. Speaking of the spreadsheet... it has been updated, you'll notice it looks a bit different. I have added columns to calculate how many actual cards you will receive once the complete sets have been taken out. Be aware, your current stack has at LEAST one complete "team set" of your team and will most likely have at least two team sets. You will never sacrifice any cards from your (1) team set in order to make a complete set. 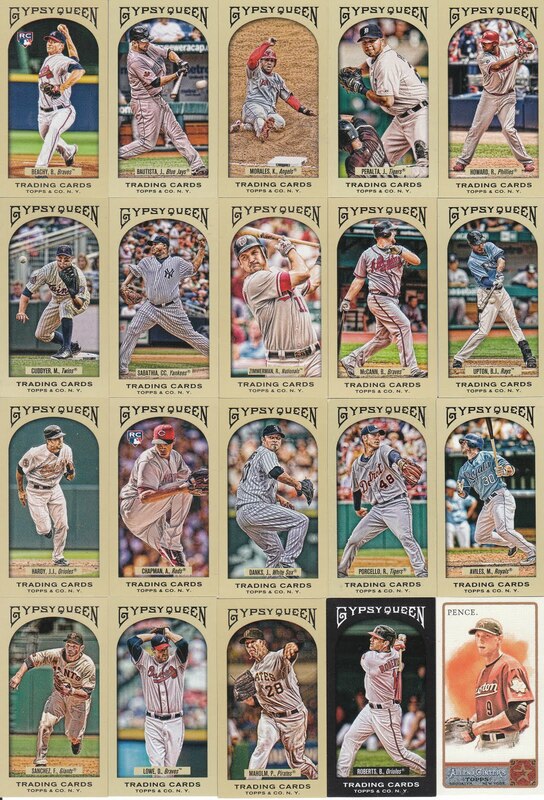 My question is, does everyone want the max COMPLETE sets pulled or would you prefer to cap it at 3 or 4 complete sets? Leave a comment, let me know what you think. At this point, my estimation is 4 complete sets, with the ever so slight possibility of 5, but definitely 4. My tentative plans as of right now are to hand out one or two to the "SLOTS" that are the most poorly represented, then random off the others to all but the top 4-5 best represented slots. I want to be as fair as possible. Definitely give me some feedback on what you think. Since the rest of the contents are unknown to all but me, I think it's pretty fair and unbiased for all to give their opinions now. Because the video was so horrid... sorry, everyone, I didn't know the audio was so bad until after the recording was done... I am posting the hits a lot sooner... so enjoy! The Indians had a great 4 boxes... not to mention the MAJOR MOJO at the end for a couple other teams... you'll have to get through the page break... hahaha! Apparently, there's no audio... I'm really sorry about this... I think this will be my last try at UStream until I get a better web cam... sorry everyone... although not hearing me yammer on may be a good thing..... 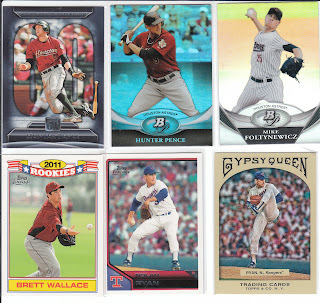 I'll post the scans shortly so you all don't have to suffer through the video complete... some SICK HITS! The Kruk is just cool. Don't know why I'm obsessing about it like I am, but I really like it. Morgan Ensberg, eBay 1/1... actually 1/150, but still!!! 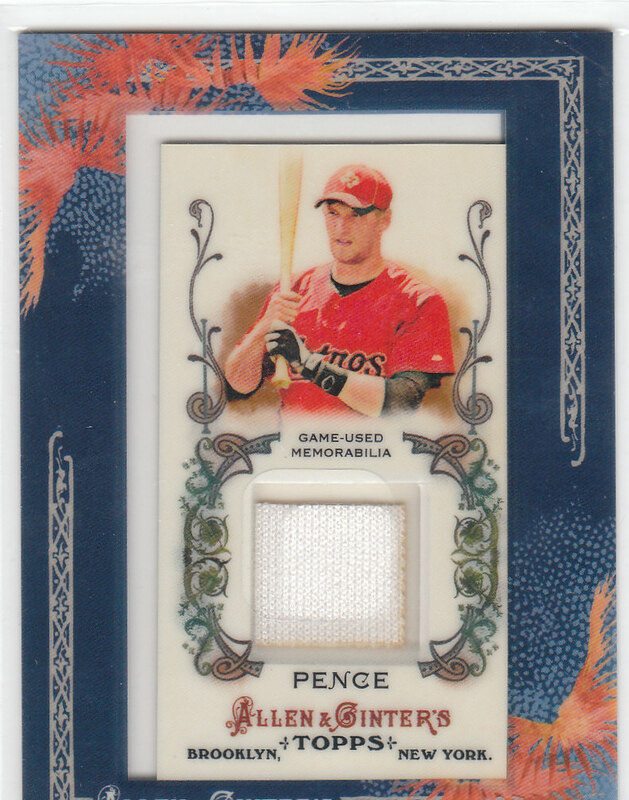 Sweet... and the David Wright pinstripe is cool too... and Fisk, well, I TOLD you all to snag the White Sox and you all ignored me, now I wish Nathan hadn't snagged 'em because that's a cool looking Fisk. Yadier Molina wraps up the first 4 autos from Artifacts. All 4 are sticker autos, too bad, they would look sweet on-card. The Torii Hunter is probably one of the best on-card auto's I've seen, just looks NICE. Alright everyone, the group break has officially begun... before I post the video, a few words from our sponsor: BigHits Sportscards, my LCS. They are AWESOME. Their official site is their Facebook page but they also have a eBay store that has some great products churn through it... take a look, they get all kinds of interesting stuff! Really fair prices and great people over there. 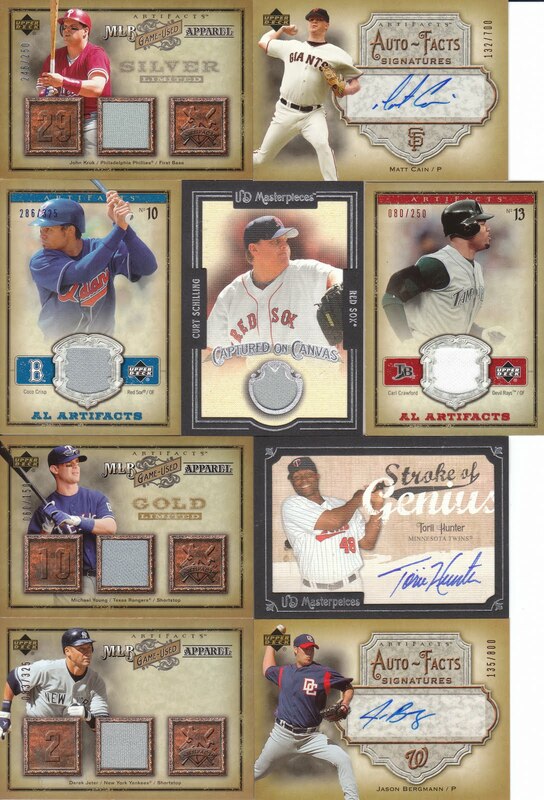 In fact, they ended up buying into the break with the last 2 slots that composed of the Giants/A's and WhiteSox/Rays. Here's the schedule... I'm going to bust/sort/chart 4 boxes per night for the next 5 nights. The wife is back in Houston for the week, so I have free reign of the apartment. Now one might ask, isn't there more interesting things you can do than bust wax while the wife is away? I say no. This is going to be legen.... wait for it... DARY!!!! As for the "Live" breaks... I'm going to do one tomorrow night of the next 4 boxes. It'll be on my UStream Channel TheDimwitCards tomorrow night starting at 7pm CENTRAL. I'll record it as well and post it on the site. I'll probably open up the channel for broadcast early at 6:45pm so that I can get my audio adjusted and start interacting on the chat. Please feel free to e-mail me if you have any problems. There are a couple of you who know me well enough to have my cell phone number (you unlucky few) and if there are major issues, call me. For those who want a breakdown before the video, I've already updated the group break tally sheet. For those who want the suspense, watch the video first! I will say, a 1/4 of the way into this case, and there are only 10 teams without a hit. Already, I think everyone will be in great shape. Currently, the totals reflect all cards from the break. 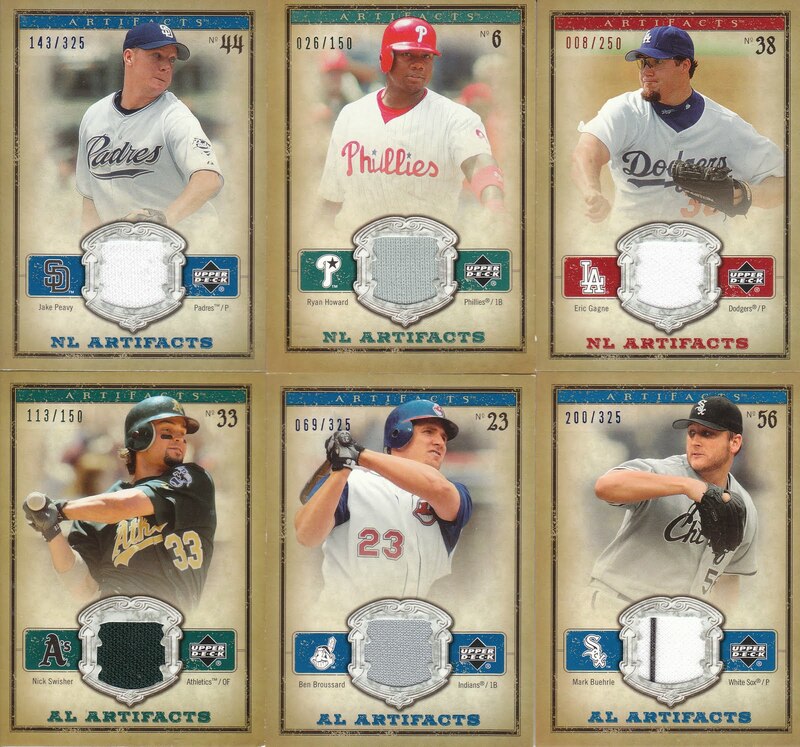 However, I plan on pulling out a complete set or two (if possible) to random off to any team or teams who end up with the least amount of hits. 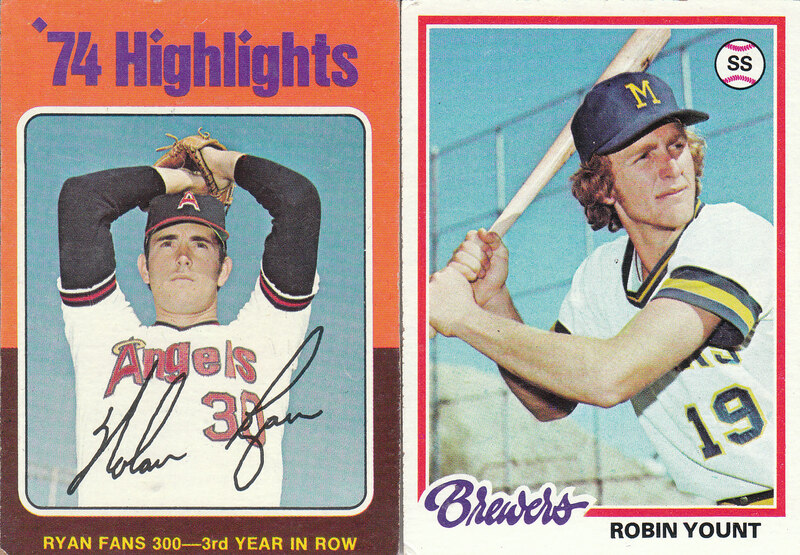 You want the video... you get the video... oh yea, I also showed off some of my Diamond Giveaway cards, you'll just have to bear with me, I was excited about a Nolan Ryan!!!! I'm going to put a scheduled post up with the scans of the hits from this part of the break. I will give you all 4-5 hours to watch this before it posts, to limit the spoilers! Two discount blasters from 2008.... Baseball Heroes and Timeline! Great looking cards... hope you all enjoy! Here's the updated total board. 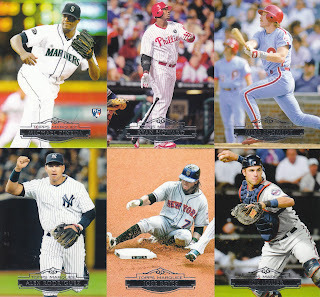 Trade Night at BigHits Sports Cards... and a group break preview! 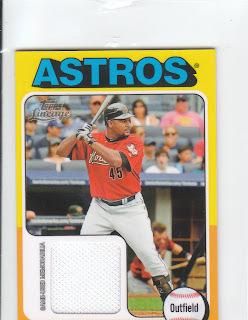 A freakin' sweet Roger Clemens refractor-ish looking jersey swatch card! I also picked up a bit of vintage on the cheap! The Ron Santo is sweet because it's a "Gold" level parallel limited to 150 copies. The Church is out of 325 and the Pudge is out of 250. The Cain is out of 700. A question posed to the group breakers... There will be a total of 800-ish cards pulled from the group break case... needless to say, there will be lots of duplicates... I was thinking of ensuring that each breaker got at least one full team set of the cards from their team, then putting together one or two complete sets and randomizing them off to either a)Teams with no hits from the case or b) amongst everyone provided everyone has a hit from the case. What do you think? Opinions? Ideas? Or does everyone want 4-6 copies of each player? Just throwing some ideas off the wall... regardless, you'll get probably a team set or two for your teams... just depends on what everyone wants to do with the duplicates! Let me know! The case was ordered Friday... should get it Tuesday or Wednesday!!! Can't wait to start busting packs! I really would like to get the last 4 teams sold. I had the Giants sold, but then when it came time to send the money, they changed their mind. So, that leaves the Athletics, Giants, Rays and White Sox available. I really don't want these teams cards, but I'll take them if I have to. To make it a bit easier, I'll combine them into two slots at $35 each... or $20 a piece if you want them individually. I will be updating this spreadsheet as packs/boxes/etc are busted. Each video post, I will include the link at the end once I've tabulated the results! Looks like the big winners from the 2 blasters were the Orioles, Cubs, Braves and Brewers... not to mention the Pirates for getting the first hit in the break! On another note, if you haven't sent in payment yet, please get your cash to me by the end of the weekend if possible. I need to get the cash pulled together to pay for the case early next week! Thanks everyone! I don't get the case in until next week... that doesn't stop me from busting a couple of bonus blasters! Here's the recorded UStream... we have our first HIT!!! Congrats! So... today I officially ordered the case for the group break, it will be in hand very early next week. Boxes will be busted shortly thereafter... we'll see if I can put a "live break" together on UStream... don't know if I can get my camcorder to interface with my PC... but I'll try. There are only three teams left! Athletics, Rays and White Sox. I really would like to sell these! $20 each for anyone who wants them... at this point I just need them sold so that I can put that money towards postage and extra goodies for the break. And a sweet looking mini-relic... thanks Matt!!!! 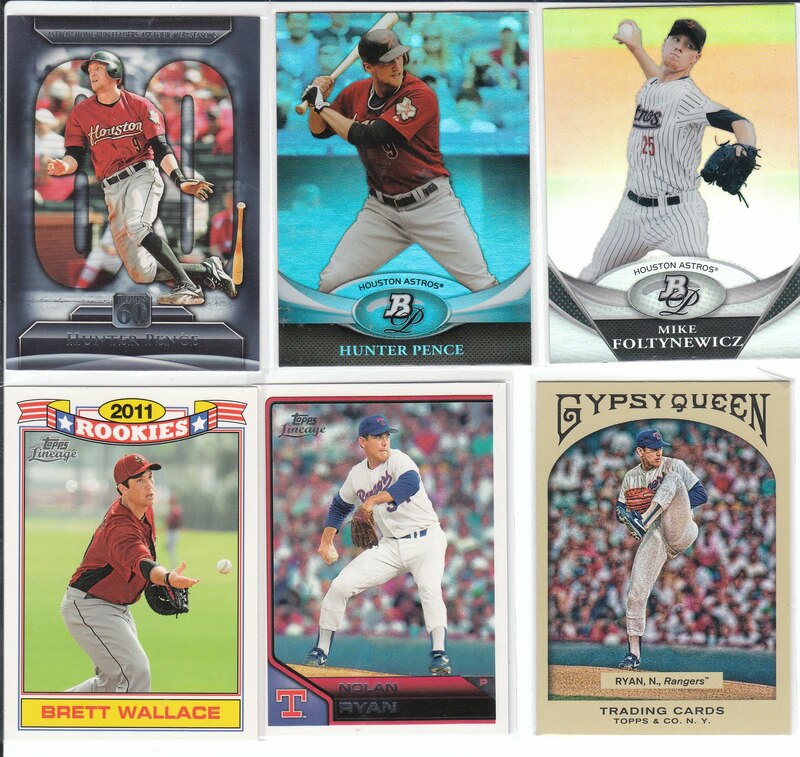 Next up we have Charles (LifetimeTopps)... we did a good ol' fashioned base swap... we both had Gypsy Queen, Lineage and Goodwin to send back and forth... here's the loot, I even managed to get a jersey relic of Berkman that I didn't have already!